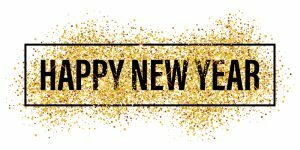 Our team here at CiteAb would like to wish all of our visitors a very happy New Year – we hope you have a great 2017. For us here at CiteAb there have been many new milestones in 2016 and plenty of reasons to celebrate. A very Happy New Year 2017 to all of our friends around the world! For example, there are now twice as many researchers using CiteAb as there were at the start of 2016, meaning that more people than ever before are finding quality antibodies, and less research funding is being wasted on products that won’t work. Our team has also been really busy over the last year improving CiteAb – they have added over 225,000 new citations and 300,000 new antibodies to the database making it an even better resource for researchers. Over the course of 2016 we have provided data on the global market to antibody companies around the world, allowing them to improve their offering and reach out into new markets. We have worked with seven of the ten biggest global suppliers! To improve our commercial dataset offering the team has also introduced a tool allowing researchers to analyse secondary antibodies and antibodies against modified proteins, and to identify authors. We also started to collect and provide data on other reagent types for the first time in CiteAb’s history, and our unique widget is now serving our data direct to the websites of some of the world’s top antibody suppliers. An exciting new project our team embarked on this year is our first custom text mining, using our inhouse-developed text mining technologies and giant corpus of full text publications to gain insights for decision‐makers in antibody companies. We also started a few new collaborations in 2016, including two with top flow cytometry websites who now use CiteAb data on their platforms. We’re open to more of this type of work and hope that further collaborative partnerships will follow in 2017. In September we worked with the University of Bath to host the second International Antibody Validation meeting here in Bath, UK. We bought together the sector’s leaders from academia, pharma and industry and some fantastic ideas were developed to move this important field of work forward. There is so much more we could mention here, but maybe instead we should now look forward to 2017! Over the next year, in addition to the CiteAb Antibody Awards (nominations still open and winners revealed later in January!) we have a huge amount planned. Of course, we’ll be continually improving our antibody data, and we’re also planning to launch services focused on a wider range of reagents, with data packages to match. Dr Andrew Chalmers, Founder of CiteAb, says: “We’re all really excited about our plans for 2017 – we won’t give too much away here but those of you who follow our blog or sign up to our mailing list will be first to know when we launch any new services.